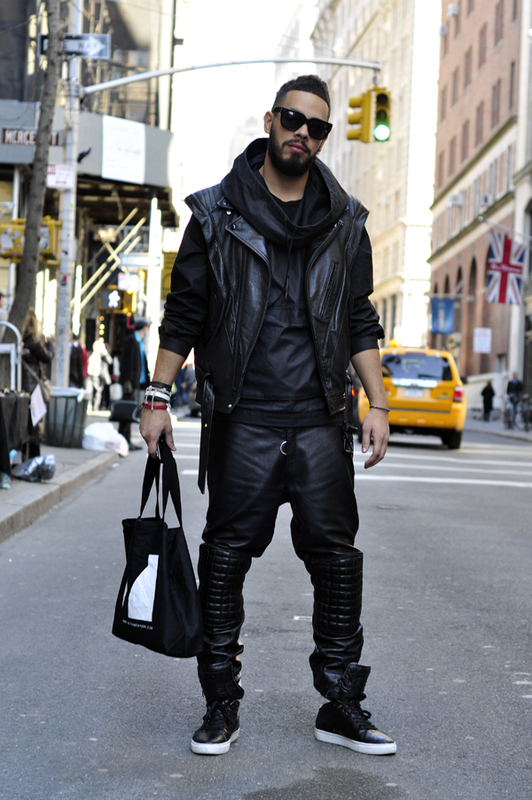 i always thought leather pants were for gays, but this dude makes it look hottttttttttttttttt !!!! yoooo where can i get one of those?? and how much? do you have it in a size 36 x 32 ?? yooo LV holla @ me… i need to know if you can hook me up w/ an outfit? ?